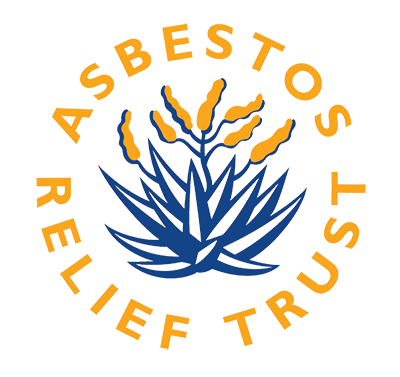 The Asbestos Relief Trust endeavours to be accessible to potential claimants, as well as to provide information to claimants and all other stakeholders. This website provides a comprehensive overview of the claims process, all relevant financial and legal information about the Trust, the operational history of the Trust, as well as acts as a resource for information related to the broader asbestos disease-related issues. The Trust was the first of its kind in South Africa. It remains an international benchmark for occupational health trusts globally. As of the 2013 financial year end, the Trust has paid over R250 million to 3,639 claimants and has processed some 14,500 applications, of which approximately 30% had Asbestos-Related Diseases. On a quarterly basis, it provides updated statistical information on claims paid. The Trust has processed claims from claimants located in the geographical areas around former asbestos mines in the Northern Cape, Mpumalanga and Limpopo through its outreach work, it has also processed claims from migrant workers residing in Botswana, Lesotho and Swaziland. The creation of a network of doctors across South Africa and neighbouring countries to conduct medical examinations, as required by the Trust Deed, to diagnose Asbestos-Related lung diseases. The appointment of an independent panel of occupational health medicine experts to read the medical records and arrive at a diagnosis. Set up a network of accredited service providers to find claimants, medically assess potential claimants and assist them to lodge claims with the Trust. The development of a sound information management system. This enables the organisation to have all the medical and administrative information available electronically and to manage the individual’s claim efficiently over a number of years – even decades. The establishment of a palliative care nurse programme servicing the greater Kuruman area to provide palliative care, support and counselling to persons diagnosed with Asbestos-Related lung cancer and mesothelioma. Strict adherence to the Trust Deed to ensure solvency and to ensure that funds are secure for future claims. Asbestos-Related Diseases have long latency periods. In addition, the disease may escalate and first-time claimants may be entitled to further claims if the disease progresses to Asbestos-Related cancer. On-the-ground NGO support to seek out and identify potential claimants – so that anyone who is eligible to claim is made aware of this fact. Due to the nature of claims for Asbestos-Related Diseases, the Trust has faced a number of challenges, which it has had to address. This included identifying effective means to reach out to eligible claimants, who are often situated in rural areas. This is an on-going process and the Trust remains committed to contacting all potential claimants. It has also invested in overcoming issues of distrust within affected communities, where poverty and other social ills are factors in how communities perceive the purpose and role of the Trust. By far the biggest challenge faced by the Trust has been ensuring that monies are awarded to claimants as stipulated by the Trust Deed. This has been a difficult process as the Trust finds itself confronted with many people that are needy but are legitimately excluded from becoming claimants, as per the Trust Deed. This is because they do not suffer from an Asbestos-Related lung disease and/or do not meet the stipulations of the Trust Deed. This has antagonised certain groups. However, the Trust has had to focus on what is in the best interests of all the beneficiaries that it has been designed to serve. The Trust has sufficient funds at present to meet future claims as per actuarial projections of the likely number of beneficiaries over the next two decades. The risk of mesothelioma is life-long.